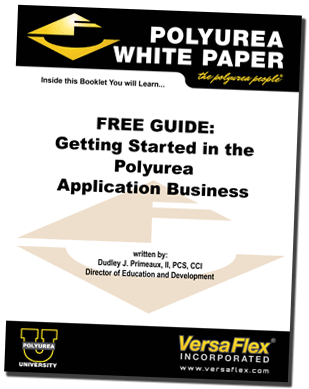 Every Polyurea University™ Attendee that completes any degree program will automatically be given a FREE Contractor Listing on Polyurea.com, the world’s largest directory of polyurea contractors. This is a $599 value. This means if you sign-up for our Basic Materials course, you actually make money! The course costs $250. You get a Free marketing and advertising program on Polyurea.com valued at $599, that means you gain $349 worth of marketing just for coming to Polyurea University™. No other polyurea training school, trade association, materials supplier or private company can make this offer. Free One (1) Year Access to all five (5) Polyurea Spray Gun Training videos in the original series “Down and Dirty” Polyurea Spray Gun Training Videos. All (5) five videos are soon to be released at www.polyureatraining.com. This is a nearly $1000 value in 365/24/7 access to polyurea spray gun maintenance techniques and tips.